HomeShow your Hashtag Activity, boost the conversation. Show your Hashtag Activity, boost the conversation. When a TV Show or event makes their hashtag public, they are inviting users to actively tweet which raises the impact and reach of that hashtag… and then what? What do users get for tweeting using the hashtag? Are you so “arrogant” that you make users tweet but don’t give them anything in return. This though might seemed way too radical, however is what I have heard many time on events and TV shows from users: why should we tweet using their hashtag if they don’t even say thank you?. Well, I have been investigating how analytics tools can change that and found a pretty good, easy and fast solution. I will talk here about Buffer, a tool that has a huge potential for marketers (if you are in the Social Media Business you have to get one account) and Tweet Binder. why should we tweet using their hashtag if they don’t even say thank you? If the TV show or event posts the hashtag data: rankings, tweets, etc. Users actually see that they effort is somehow worth it. We did some test on TV and live events combining Buffer (I really love Buffer) and Tweet Binder and the results were so much better than expected. Just by showing the hashtag activity, users engaged in a much better way. What we did it was to use Tweet Binder PRO to get the real time users rankings of a TV shows‘ hashtags and then we used buffer to program tweets and be sent during. We also use the Tweet Binder Wall mode to show the results on screen. Our client suddenly got a totally unexpected number of tweets. 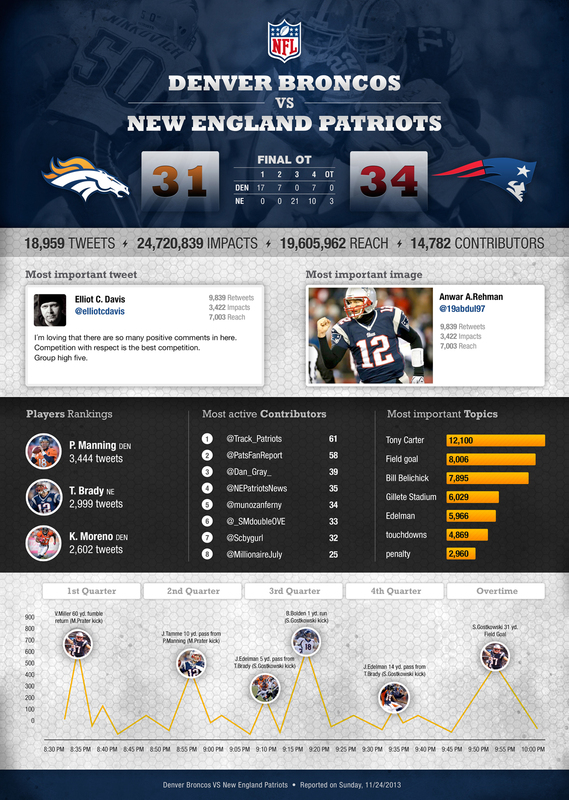 Also, during a NFL game, we were showing the results of the Twitter activity using Tweet Binder Infographic PRO. Again we used Buffer again to share the link. Users saw themselves in the report and “fought” to stay there by tweeting like crazy. At some point some users sent too much spam, so we used the “mute” option. 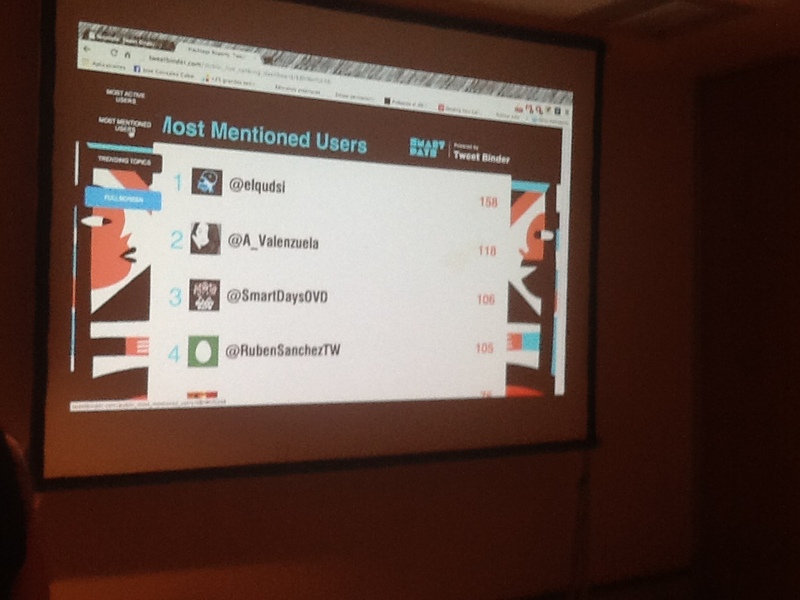 And last, but not least, during a live event (#SmartDaysOVD), we used a customized Tweet Binder PRO Wall to show the Live Users Rankings updated during the event. 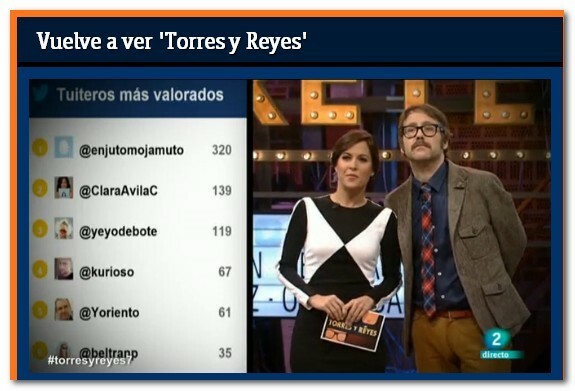 Users could see who was the most mentioned users, the most active and the Trending Topics of the event. When they saw their picture on the wall they wanted to tweet even more. The results in these three cases were the same: the number of tweets grew a lot (Crazily), the conversation got richer and the users were very happy by seen themselves on TV, on the Web or in a Big Screen. This is a WIN-WIN situation. Both tools combined have a great potential. Actually I think people don’t really know the potential of Buffer, this is a great tool that can solve many marketing problems. The analytics you get out of it are amazing, if you combine them with Tweet Binder PRO your client will be very happy. Awarding users by showing their nicknames on screen will make your show gain a loyal viewer. My name is Laura, working for a local TV in London. We use hashtags all the time for our shows and we try to award users with presents from our sponsors. I consider that making people tweet for a show is kind of rude itself if you don’t at least say thanks (like you said). Many TV series use hashtags and they forget about users, why? because they only care about stats and TTs. Sad but true.